For all your airport shuttle and transfer requirements to and from Lanseria International airport, Airport shuttle SA is your ideal choice. Whether you have come to South Africa on business, holiday or for other engagements, you can be assured of a professional and reliable Lanseria airport shuttle service that is available for your convenience. We understand that you would like to get to your home, hotel as soon as possible thus we guarantee to get you there in time. Enjoy a comfortable journey that adheres to high safety standards with our air-conditioned and modern shuttles. We have a thoroughly trained and experienced team of drivers who are customer friendly as well. Moreover, our vehicles are all clean giving you peace of mind while you travel in style. So why not sit back and relax and let us provide you with airport shuttle service to Lanseria and not worry about parking space and time? We have done it for so many years with amazing results time and again, and we are not slowing down yet. Airport Shuttle SA covers a wide area from Pretoria, Sun City, OR Tambo International Airport, Lanseria airport, Johannesburg, Magaliesburg and so many other regions thus you can be guaranteed that wherever you are we will pick you up. Additionally, if you need to be picked up at your door, simply let us know, and we will dispatch our driver immediately. Airport Shuttle SA has the most affordable rates on Shuttle service to Lanseria Airport, all airport to airport, door to door, airport to hotel services that are unmatched with other service providers. Depending on your transport requirements, we personalise each special request ensuring you get the best value for your money. Call us now and talk to our extremely friendly staff that will answer all your queries and book a reservation for you. You can also book a Lanseria airport shuttle online as well. We are highly committed to providing the best Lanseria airport shuttle to individuals, company employees and corporate clients in an organised and most importantly timely manner. Be assured that we have gone to great lengths to prepare each and every Lanseria shuttle with the necessary comfort and latest technologies that will give you excellent satisfaction. That is a guarantee! Simply check our proven track record on an outstanding and world class shuttle service which speaks for itself. 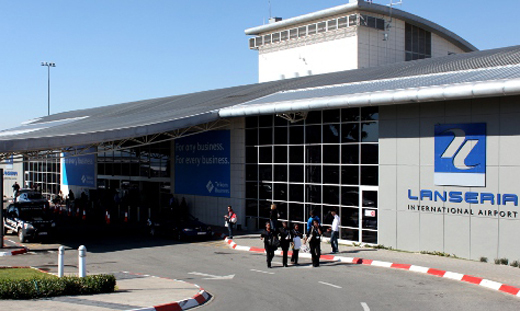 Why choose us for Lanseria airport shuttle service? It’s simple! We have a user friendly booking system, adhere strictly to all safety standards, offer a hassle free mode of transportation and give you the convenience you need. Now you make the choice!